It looks, it smells, it feels like springtime. The air is warm and moist, not cold and dry, with a green and earthy scent instead of the odor of decaying vegetation usually present during the fall and winter months. 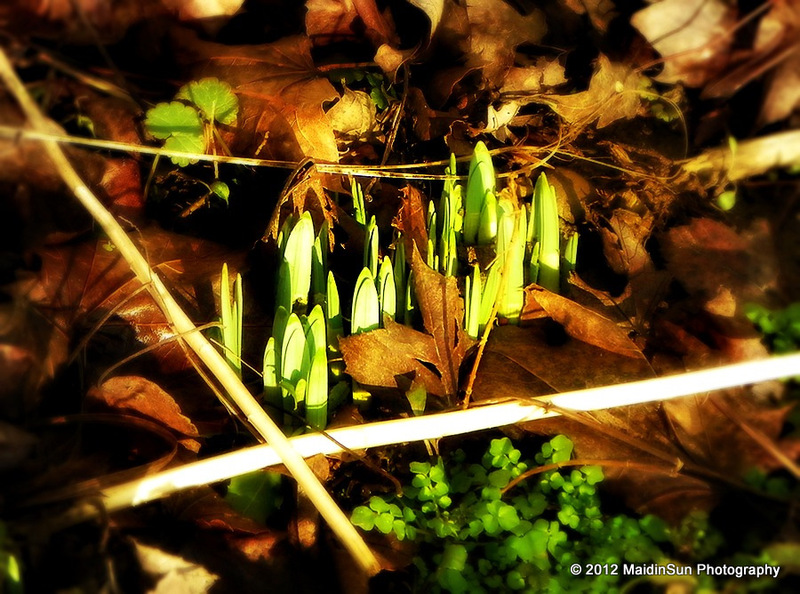 The daffodils have sent up green shoots, responding to the sunshine and the unseasonably warm temperatures. The birds are twitterpated, but skeptical. I bet even Punxsutawny Phil was confused and confuzzled in his prognostications. The Great Groundhog has predicted 6 more weeks of winter. What winter?